1. Should I visit Morocco? Yes! It is a fascinating, exhilarating country to visit. The food is deservedly renowned, the sightseeing abundant, the shopping top-notch, and the weather enjoyably Florida-esque throughout most of the year. Few countries have such an iconic design aesthetic. Moroccans are generally hospitable and curious, and interactions with them never cease to provide surprises. A big portion of Morocco's income comes from the tourism industry, so they make sure that visitors are treated well. It's very safe and tourist-friendly. While visitors unaccustomed to third-world travel may have the occasional moment of sensory overload, there is little to fear, and I always recommend that people visit if ever given the chance. 2. Oh great, do I get to see the real Casablanca, just like in the movie? Sorry to burst your bubble but... The fictitious Casablanca of Hollywood fame, that endearingly seedy wartime backwater, was actually modeled off Tangier (a port city in northern Morocco), but called Casablanca because the movie's producers liked the name better and nobody back in America knew the difference. It was filmed entirely in Hollywood; Humphrey Bogart, Ingrid Bergman, and Peter Lorre never set foot on Moroccan soil. What's more, the real modern-day city of Casablanca doesn't hold a candle to the one from the classic film. It is has an industrial, big-city feel, with little of interest to tourists besides a vast gaudy mosque and a few fake Rick's Cafés (any of which will be happy to lie and tell you they are the original from the movie). Mohamed V Airport, the country's largest, is just outside Casablanca, so you might fly in there, but do yourself a favor and don't linger! 3. Ok, Casablanca is out of the running. So then where should I go in Morocco? Morocco is a surprisingly large country with many fascinating sights. Don't expect to see it all in one go. In total, I have spent nearly two years living and traveling there, and still haven't seen all I want to see! No matter how long your visit, don't miss Marrakech, the most iconic of Moroccan destinations. Have only a day in Morocco and need to pick a destination? That's where to go. Coming for a few weeks? Make sure it's on your itinerary. Fes is another classic destination. More traditional, more pious, and in many ways more authentic and untainted by the outside world. It is many visitors' favorite. The capital Rabat is calm and scenic (but sleepier than other cities—it is Morocco's Washington DC in many ways). Hip beach town Essaouira is well worth a visit. Tiny Chefchaouen in the northern Rif Mountains is one of many rural villages that in many ways offer the best of Moroccan hospitality and culture. In fact, my most enjoyable times in Morocco have been outside the big cities. 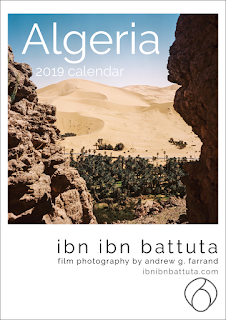 There are many worthwhile destinations, from remote coastal towns (Asilah) to rugged palaces (Ait Ben Haddou, Taroudant), to striking gorges (Todra, Dadès) to unearthly Sahara desert-scapes (Merzouga, Mhamid) and oases (Zagora, Skoura). Oh yes, and the mighty Atlas mountains. Didn't know you could ski in North Africa? You can. There is also great hiking, surfing, kite-boarding, rock climbing, fishing, horseback riding, and more. 4. Marrakech, you say? What's interesting there? With its red-brick walls, palm trees, ornate palaces, and endless markets, Marrakech is what we all think of when we picture Morocco. As with other Moroccan cities, the most interesting place for visitors is the old city, or medina. Marrakech's medina is centered around the Jemaa El Fna square, a lively mix of snack vendors and snake charmers by day, and food stalls and street performers by night. In terms of sights, Ben Youssef Medersa is a must see, and the nearby Marrakech Museum is a good intro to the region's traditional arts. The Bahia Palace is quite elegant, and there are many other smaller palaces and museums of interest throughout the medina. The brand new Marrakech Museum of Photography and Visual Arts has also garnered much international press in recent months. Oh yes, and there's that film festival. I highly recommend a drink on the back terrace and a walk through the gardens of La Mamounia Hotel, whose elegance far surpasses any of the ancient palaces! A visit to the leather tanneries is—I'm choosing my words carefully here—a unique experience not easily forgotten. Lonely Planet has a pocket-sized guidebook covering just Marrakech that will tell you all you need to know. Your hotel can provide a good foldout map of the medina. Carry one, but do not expect it will keep you from getting lost—that's part of the fun! 5. What about Fes? What can I see and do there? The labyrinthine medina of Fes—a UNESCO World Heritage site hailed as the world's largest car-free urban zone—holds days and days worth of tucked-away treasures. The medersas (ornately decorated religious schools) are must-sees in this very observant town; highlights include the Bou Inania, El Attarine, and Sahrij. Unlike the medersas, the city's famous Islamic university, al Qaraouiine, and nearby shrine to local patron saint Moulay Idriss are off limits to non-Muslims so you will have to content yourself with a peak through the doorway. Besides the historic sites, Fes's medina is also bursting with shopping, and home to beautiful traditional homes, many of them now converted into hotels and restaurants. (More on all that below.) Fes is famous for its handicrafts, particularly leather goods, so tanneries and workshops are all around and open to curious visitors. Along Talaa Kebira, one of the principle thoroughfares, there is also a great honey shop which makes offers unique gifts and an interesting visit. Just outside the medina are the royal palaces, built during the centuries when Fes was Morocco's capital, and the Mellah, or Jewish quarter, home to the city's once numerous but today much diminished Jewish community. Just above the city's northern ramparts are the Merenid Tombs, which offer an unparalleled view of the town at dusk. The Sacred Music Festival, held each year in June, is one of Fes's biggest draws. The New York Times ran a nice portrait of the old city: "Inside the Walls of Fez". 6. Where should I stay when I visit Morocco? What are the hotels like? For those looking to rent a riad, Airbnb is starting to catch on in Morocco, but I suggest opting for a guesthouse; in a place like Morocco, hotel staff are invaluable for answering your questions and orienting you to worthwhile sites around town. My top recommendations would probably be Riad Djebel in Marrakech and Riad Laaroussa in Fes, but there are literally thousands and so many of them are wonderful. 7. Moroccan food is supposedly delicious. What are the specialties and where should I eat? The rumors are true; Moroccan food is to die for. No couscous you've ever eaten back home will compare to the real thing, no dish will taste as complex and succulent as a perfect bastilla (pigeon-and-egg-and-almond pastry pie, topped with cinnamon and powdered sugar), no meat as tender as when cooked in a tajine (traditional clay stovetop oven), and no orange juice as fresh. The options are endless and all around, so sample it all. For the best experiences, focus on the extremes of the cost spectrum—think lunch at the cheapest street vendor and dinner at the fanciest traditional restaurant in town. Eat dinner at least once at the famed food stalls in Marrakech's Jemaa El Fna square. It is an experience. Do not worry which stall you try, they are all good. Better yet, sample a few. Marrakech also has excellent high-end dining. With your hotel's help, reserve a dinner at Dar Marjana, Le Tobsil, or one of the other deluxe restaurants around town. They are expensive but worth it, particularly if you arrive with an appetite. In Fes, a city that rightfully prides itself on being the heart of Morocco's culinary heritage, La Maison Bleue serves an excellent traditional feast. Riad Laaroussa and Dar Seffarine are both beautifully restored riads in the old city that offer nightly dinners—an amazing culinary experience, enhanced by the more intimate setting. Some of my favorite meals in Morocco have been at my own hotel. Many riads offer dinners, and will be happy to let you observe (or take part, alongside the chef) in their preparation. Ask for a cooking lesson! 8. I hear that Morocco has great shopping. Any advice? Every last corner of Morocco—from north to south, sea to desert, most remote mountaintop to most bustling metropolis—holds someone looking to sell you something. And the options are endless: a djellaba robe, babouche slippers, pottery, leather goods, wood carvings, perfumes, fossils, textiles, carpets, musical instruments, spices... The best part? 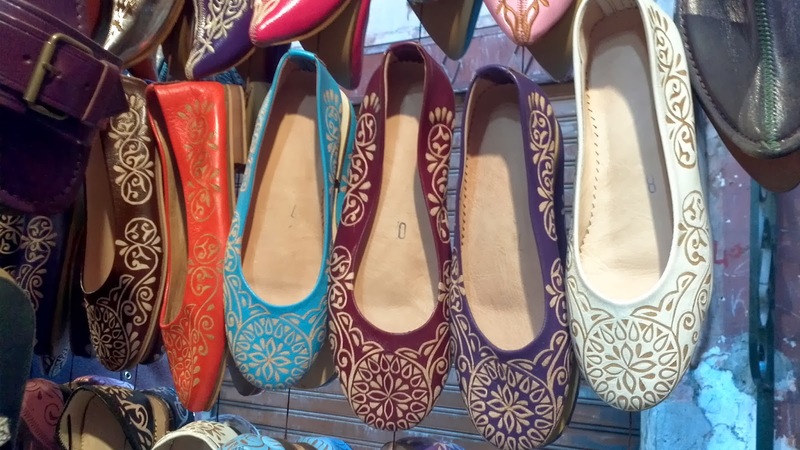 Morocco has a long artisan tradition, has been welcoming tourists for decades, and is finally learning how to better connect the two by selling goods that marry the best local designs with foreign sensibilities. When you shop, remember that everything is negotiable at all times. (Perhaps with one exception: the special artisan centers that the Ministère de l'Artisanat runs in many cities, with good selection and written, fixed prices.) In the souqs, prices aren't written on items; you have to ask, which is where the fun starts. My rule of thumb: the price you are first quoted for an item is no less than three times the reasonable price. Bargain hard (these guys are pros, after all) and aim for one third of the originally quoted price. But expect that you may not get that low without hours of work. Overpay slightly and move on with your day. You are on vacation, don't forget. That said, shops along slightly smaller streets (as opposed to the souq's largest routes) sometimes have slightly better prices. Chances of landing a deal also rise in the evening, when shopkeepers are eager to accept a few last bucks and get home for dinner. 9. Is Morocco expensive? How much should I expect to spend there? One of the best parts about Morocco is that it's fun on any budget, with great food and lodging and activity options available in all price ranges. Just remember that temptations to spend abound and Moroccans are quite skilled at coaxing tourists to open up their wallets! Luckily, ATMs that accept international cards are all around major cities. 10. How do you get around in Morocco? Flying carpet? Not exactly. There are flights between all major cities, but if you're traveling from one hub to another, I would strongly suggest taking the train. It's usually efficient, usually comfortable, and often a great way to meet locals. In town, taxis are cheap and plentiful, though in the old medinas you will often have to rely on walking. Many of my best times in Morocco involve renting a car and hitting the open road. While many of the mountain passes can be quite precarious, Morocco's roads are relatively safe and driving them allows you to get off the beaten track and explore the most remote, scenic, and charming parts of the country. 11. Do I need to know French or Arabic to visit Morocco? I went to Morocco with a good amount of Arabic and French under my belt. While having these tools at my disposal certainly made life easier, they're by no means necessary. So don't worry, you will be fine. Morocco is used to hosting tourists (lots of them, from all over) so with basic vocabulary and hand gestures you will be able to get anything you need. If you do want to prepare yourself in this regard, don't bother with Arabic, which is prohibitively difficult (and besides, Moroccans speak a very obscure dialect). Instead, brush up on your French. 12. 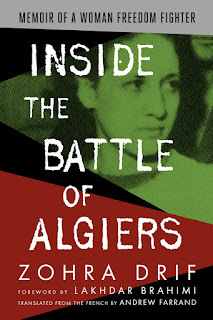 Before I go, what should I read to learn a little more about Morocco? When I lived in Morocco, I read as many books as I could on the culture and history, plus lots of novels set there, and cataloged short reviews in my six-part "Reading on the Road in Morocco" series: Intro, Fiction, Non-Fiction, Travel Guides, Blogs, and Conclusion. Hopefully my many blog entries on my own experiences living and traveling in Morocco can also be of use. There's also plenty of Morocco travel advice from others out there: start with the Telegraph's recent Morocco: readers' tips, recommendations and travel advice. If you have other questions that I haven't addressed, feel free to leave them in the comments below and I will try to respond soon. Enjoy your journey! Andrew, yes I have one question I must ask you. By which means are you financing your dreamy life? your answer will not help me change mine, but it will make me dream and play the game " if I had to do it all again, will I do it the Andrew way?" When they think about traveling abroad, my friends and family back home in the U.S. often immediately think of Europe, but one of my goals in writing this blog is to encourage them consider other possibilities. Among the many great reasons to visit a place like Morocco is that it's much cheaper than many other tourist destinations in Europe or elsewhere, so your dollars/euros/pounds/etc can go much farther. Hi Pino, thanks for reading and I'm so glad you are finding this guide useful. Almost every first-time visitor who arrives in Morocco with an open, adventurous mindset loves the place, so I'm sure you will too. It's a particularly rich destination for anyone who enjoys photography, as the colors and textures of the country make for fabulous images. One question: when are you going? I ask because if you are going in the warmer months, anywhere you go will work well. But if you are going sooner (i.e. in winter) then I would encourage you to spend more time in the south, where both the temperatures and colors will be warmer. Fes and the whole north get quite cold and rainy in winter, and you'll come back with lots of overcast, drab brown photos. Marrakech, Essaouira, and further south are more likely to see sunshine in winter. The other thing you can do to increase your chances of making good images is to mix urban and rural settings. The cities get most of the visitors in Morocco, but the mountains are stunningly beautiful and have their own culture as well. Try to visit a mountain town in the Rif or Atlas ranges ... and/or some of the southern desert oases and beach towns. If your budget and time allow, I would stretch to 12 days and try to see a wider range of settings. It's a place where you could easily spend months shooting and not run out of new and interesting subjects. Good luck! For a 12 day trip, could you please recommend names of the town/city (I promise not to ask for specific sites within each and will search your blog once I have your recommendations), number of days recommended per place? Transportation - I read in one of your posts that you prefer renting a car and I will see how that works out within my budget. Is there good train or bus service to get around to different towns/cities? Depending at what pace you like to travel, I think you could spend some time in both Fes and Marrakech (and surrounding regions), or just concentrate your time on one of them to get a deeper experience (in that case, I would suggest Marrakech, given the season). It's just a question of whether you personally prefer more breadth or more depth for your trip; you can't go wrong either way. An excellent train network links the Casablanca airport to most major cities, including Fes and Marrakech. That's the best way to go for major inter-city travel, unless you wanted to rent a car for your entire trip and do a big loop through the country. I prefer to be unburdened by a car when I don't need it though. Again, personal preference. Each town has a "gare routière" with buses and Mercedes taxis that serve smaller destinations. The drivers' style makes them feel less safe than the train but they have never let me down. - Near Fes I would strongly recommend an overnight in the uniquely funky blue mountain town of Chefchaouen (but skip boring Ifrane). Meknes is also ok, like a smaller Fes. - Near Marrakech, with a car you can get to some amazing sites. The route I did in "Morocco: The Southern Circuit" was great. The drive to Ouarzazate is harrowing and utterly amazing, and those oasis towns and canyons east of Marrakech are something to see. There are also beautiful sites to the south of Marrakech (I hear good things about Taroudant). - Rabat, an hour up the coast from Casa, is an overlooked destination and has some good photo ops. A better place to spend the night than Casa, if you need to spend one in that area. 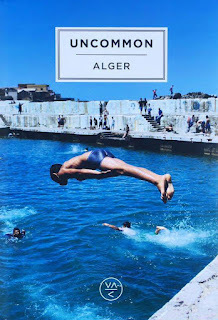 - Tangiers, at the country's northern tip, is interesting too but probably too far out of the way to be worth visiting in your case. Ditto with Agadir in the south. - Asilah and Essaouira are two of the more picturesque spots. Beautiful small seaside towns in any weather. Highly recommended. Just remember - it's a beautiful country so you will enjoy wherever you decide to go! Pino, thanks so much for the gift certificate - you are definitely my favorite reader these days :) So glad that the tips were helpful and can't wait to hear how your trip goes (and to see your photos!) Keep in touch! "HOW TO NOT BE A DOUCHEBAG TOURIST WHEN VISITING MOROCCO"